As a Kurdish child, I grew up in Kirkuk under the Baath regime thinking I was an existential mistake: but I liked being a mistake. I still like being a mistake. Portrait of Saladin the Great (before A.D. 1185; short. 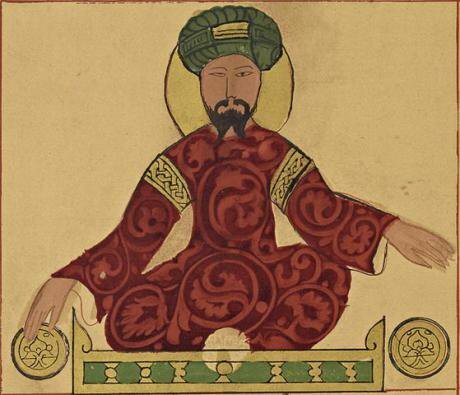 Wikicommons/Ismail al-Jazari (1136–1206). Some rights reserved.Robert Leonard Rope(RLR): Please briefly describe your background. Were you named after Saladin the Great? And what was it like to teach at a university in Turkey? When being Kurdish is seen as something to be renounced, I am Kurdish, no question about it. The moment it becomes the identity of the ruler, I can only stand in opposition to it with the oppressed. That is to say, I am Kurdish insofar as Kurdish-ness is a negation of oppression. The first time I was in a place where being Kurdish amounted to being privileged, in 2013, I found myself in a serious moral crisis, so I began building ties with the non-Kurdish and non-Muslim minorities. I am Kurdish insofar as Kurdish-ness is a negation of oppression. Before I knew it, criticizing Kurdish nationalism and Islam became my main intellectual activities until I again left Iraqi Kurdistan. To give you the ordinary answer, I was born into a Kurdish family in Kirkuk, Iraq, and my name was originally Sherzad. However, fearful that such a distinctly Kurdish name might attract heightened scrutiny from the Iraqi government, my father changed my name to Saladdin – an Arabic name with Kurdish connotations. Although my namesake is, in a roundabout way, the Kurdish leader Saladdin Ayubi, I should clearly state that as far as I am concerned, “Saladdin the Great” was no hero, but rather a notorious murderer like so many who came before and after him. As a Kurdish child, I grew up in Kirkuk under the Baath regime thinking I was an existential mistake, but I liked being a mistake. I still like being a mistake. As for my experience teaching in Turkey, the situation when I arrived in the fall of 2014 was unprecedented. For the first time in four decades, the Kurdish region of the country was enjoying a relative peace that gave birth to an impressive cultural and intellectual movement. We are talking about a region that has been so oppressed that even a traditional Kurdish dance is considered a political act. The primarily Kurdish student body was very involved in public life both within and beyond the university. It was, in short, an exciting time to be in Mardin. Unfortunately, my time teaching at Mardin Artuklu University was cut short. A couple of months after my arrival from Canada, the liberal rector was ousted and replaced by an Erdogan-backed Islamist. Soon after he was formally appointed by Erdogan, the new rector began a campaign to root out non-Islamists in the university administration. Several months later, he unilaterally terminated my contract and the contracts of 12 other instructors, all of whom were foreign nationals. To make things worse, the war also resumed in the Kurdish region and with it came the violent oppression of young people, vast military operations, mass arrests, and so on. What Erdogan has done to Turkish universities in Istanbul and Ankara in the weeks since the failed coup of July 15, 2016 started a year ago in the southeast. RLR: We have all been speculating about the recent coup over the last few weeks - was it real? Who was really behind it? How has Erdogan benefited? Will we ever know the full truth? SA: Yes, I do think it was a real coup attempt, but the fact that there has been widespread speculation that Erdogan staged the coup tells us a great deal about the government’s lack of credibility. I think that Kemalists in the army were the main force behind the coup, and it is possible that Gulenists also joined them, sensing that another crackdown was imminent. Of course, Erdogan could not openly blame Kemalist forces because Kemalism remains extremely popular among Turks, functioning more or less as a synonym for patriotism and Turkish nationalism. Thus Gulen, the rival populist Islamist based in Philadelphia since 2004, was the best candidate to represent “the enemy”. If you recall, when Erdogan gave his first speech on the night of the coup, a few hours after his FaceTime interview on CNN Turk, a huge picture of Mustafa Kemal Ataturk was placed behind him. The message, in my view, was clear: Kemalism is not the enemy. If you recall, when Erdogan gave his first speech on the night of the coup… a huge picture of Mustafa Kemal Ataturk was placed behind him. The message was clear: Kemalism is not the enemy. To return to the issue of credibility, people have every reason to distrust Erdogan’s regime. For many in Turkey, it has become routine to rule out the one scenario the government purports to be true from the realm of possibilities. In June 2014, when ISIS seized control of Mosul, the Turkish government claimed that ISIS took 49 people from the Turkish Consulate in Mosul as hostages. On the night of the ISIS invasion of Mosul, fleeing Iraqi officials had warned the consulate staff and advised them to leave the city, but they did not. For three months, Turkey used “the hostages” as an excuse for not joining the coalition against ISIS. In stark contrast to the fate of other ISIS hostages, ISIS eventually freed all 49 of the hostages, in spite of the fact that Turkey reportedly made no ransom payments. Notably, the Turkish government’s own narratives about the hostages’ release were conflicting, with the only consistent detail being that Turkey’s National Intelligence Organization (MIT) handled the situation. From the beginning, the entire story surrounding the scenario was very poorly authored. For instance, people were expected to believe that the consul general could hide his mobile phone and use it to provide regular updates to Ankara over the course of three months. For anyone who has followed reports of the situation of hostages held by ISIS, it is clear that this story too was nothing more than a fabrication intended to further Erdogan’s political ends. For anyone who has followed reports of the situation of hostages held by ISIS, it is clear that this story too was nothing more than a fabrication intended to further Erdogan’s political ends. Given all that people in Turkey and outside observers already know about the Turkish government, the country’s armed forces, and MIT, it is not surprising that the regime’s narrative about the July 15 failed coup has been met with disbelief. Stories abound about the regime’s political scheming. For example, in a 2014 meeting between Ahmet Davutoglu and the head of MIT, Hakan Fidan, an idea for starting a war with Syria was discussed. Based on a suggestion from Erdogan, Fidan developed a plan whereby MIT would arrange for a missile attack against Turkey from Syria, giving Ankara an excuse to enter a war with Syria. An audio recording of the meeting was leaked and published on YouTube, which led the Turkish government to initiate one of its periodic blocks of the site to control the flow of information. In light of past events such as that, is it possible that MIT had some prior knowledge of the July 15 coup but allowed it to happen in order to create the opportunity for Erdogan’s purges? Maybe, but the point is that people, understandably, do not believe the narrative of an undemocratic regime. At any rate, what is certain is that Erdogan exploited the failed coup to wipe out actual and potential disloyalties in the army, police, judiciary, and educational system. RLR: As you know, there is currently a state of emergency in Turkey – thousands have been arrested, numerous teachers and journalists not to mention members of the armed forces – and there are many reports of torture. What is your perspective on this: how will it all end? SA: I think the coming years in Turkey will be an era of terror. This purge will lead to a complete collapse of the already fragile trust among different sections of the armed forces and MIT. Those in positions of power will increasingly try to utilize the climate of fear and lack of transparency to get rid of rivals. As such, I think reports of assassinations and torture will only become more common. The army in Turkey has always been regarded as the guardian of the state, but now it will be forced to submit to the government, and this will not happen smoothly. Conspiracy plots will only become more complicated and nuanced. As the situation worsens, the regime will attract more and more Islamists, anti-intellectuals, and people who only know how to make a living by policing others. RLR: What is your opinion of "Turkish Democracy"? Was there ever such a thing? Did Erdogan first nurture it, then destroy it? Do people there want western-style democracy? Democracy v. theocracy? SA: I do not think there has ever been “Turkish democracy”. Yes, there have been elections, but even countries such as Iran and Pakistan routinely hold elections. There is also a parliament in Ankara, but it is a parliament that symbolizes the Turkish rejection of plurality. Let me be more precise and say that there have always been two Turkeys: western and eastern. In western Turkey, extending from Istanbul, to Izmir, Antalya, Ankara, and Adana, a European sort of everydayness was relatively achievable, at least by the estimates of a typical tourist. Granted, this is now changing, which is why the current situation in Turkey has garnered such international interest. But eastern Turkey has always been under military rule. From Istanbul, the brutality of life in the east of the country is unimaginable. Thousands of Kurdish youth went missing in Turkish military operations throughout the 1980s and 1990s. The sight of tanks and armored vehicles in city squares or roaming neighborhoods, military and police checkpoints between and within cities, huge military bases in city centers, and thousands of completely destroyed villages is the other face of Turkey. If one allows oneself to see this other face, the notion of “Turkish democracy” should seem nothing other than absurd. Islamist movements, such as the Muslim Brotherhood or AK Party, often use democratic means to reach their Islamist ends, which are essentially anti-democratic, anti-pluralist, anti-individualist, and violent. Erdogan is a typical pragmatic Islamist demagogue who pretended to be pro-democracy and against violence until he gained sufficient power. He is now gradually revealing his true beliefs. Islamists believe that playing any possible trick to deceive people for the sake of empowering Islam is completely legitimate. They could behave as the most tolerant and peaceful people, but that is only in order to win support, and thus, gain power. The moment they have enough power, spreading Islam by sword becomes the preferred method simply because both Mohammed’s life and the Quran directly reflect this essential pragmatic duality: peace when it is the only option, and violence when it is an effective option. To put it very clearly, there is no such thing as a moderate Islamist; there are radical and waiting-to-be-openly-radical Islamists. Erdogan has been patiently following the path to power, and the worst is still to come. Also, let us not deceive ourselves, if a political force wants to be democratic, it will be democratic, not Islamist. The society in Turkey, like anywhere else, is extremely complex with various social and political forces developing, competing, clashing, and so on. Despite the terrifying rise of Islamism and the 100-year history of Kemalist fascism in Turkey, there is a strong tradition of progressive movements in the country. Liberal democracy does not have strong roots in Turkey, and the main duality is not democracy versus theocracy. Before the 2000s theocracy was not seen as a possibility, but the country was arguably no less undemocratic. Turkey has been ruled by Kemalist fascism, and it is now heading towards Islamist fascism. As we all know, secularism is never a sufficient condition for democracy anywhere in the world. Fascism can very well be, and has historically been, secular. Turkey has been ruled by Kemalist fascism, and it is now heading towards Islamist fascism. Over the last two years, Erdogan has carried on Turkey’s long history of hatred against the Other to appeal to both ultra-nationalists and Islamists. Thus, the discourse of one-nation, one-country, one-God, one-flag, one-language is now on the rise again. RLR: How could we in the West successfully pressure Erdogan and his followers to restore and defend human rights and the rule of law in Turkey? SA: Human rights cannot be “restored” because they were never respected in the first place. Perhaps tourism can be restored, but human rights are something for which we all must fight collectively. Erdogan is pressuring the West, not vice-versa. From what I can see, Erdogan will continue to use Syrian and Iraqi refugees to blackmail European politicians, all the while continuing to consolidate his power throughout the Sunni world. As he works to eliminate regional opposition to his vision for an Islamic empire by 2023, we should expect more disastrous wars in the Middle East, which will result in many more refugees trying to escape to Europe. Europe will not be able to keep the crisis outside its borders by relying on a gatekeeper who himself is the main instigator of the problem. Let us face it: ISIS has only been able to survive with the flow of jihadis, weapons, ammunitions, and money through Turkey. The idea that the so-called moderate Islamist regime in Ankara can be used against the spread of so-called radical Islam is perhaps the most futile strategy imaginable. Instead, the so-called moderates will continue to play both the West and radical Islamists against each other. They will continue to use both sides to further empower themselves, gaining even more power and growing ever more radical. Turkey has learned the Saudi way of playing this game. Saudis are the main financial backers of Islamist movements, but at the same time they give western “allies” just enough intelligence information about jihadi movements and plots to maintain the semblance of cooperation. Turkey has been doing the same in the war against ISIS. Both ISIS and the West have become dependent on Turkey in their war against each other; while Turkey does the minimum to satisfy its western allies, at the same time, it ensures that ISIS will not fall. What can be done now? Erdogan’s regime should be treated the way Hitler should have been treated in the years before 1939. Of course, nothing in history happens twice in the exactly same way, but all the signs of a fascist empire based on the violent rejection of diversity are already there. RLR: With respect to ISIS, how do you think this barbaric movement is best destroyed? SA: ISIS does the dirty work for Turkey, and in return, Turkey acts as a supply route for ISIS, in addition to providing direct assistance. As long as Turkey is allowed to continue in this way, even if ISIS is destroyed, tens of other Islamist forces will continue to thrive in Syria. I think Erdogan will continue supporting Islamists in Syria until he no longer needs them. Of course, things will not all go as he wishes. With each passing day Turkey becomes more and more like Syria in terms of the polarization of society, which could very well lead to the eventual eruption of civil war. Turkey’s single worst complex is the so-called “Kurdish problem”. Erdogan has been supporting ISIS, Jabhat al-Nusra, which recently changed its name to Jabhat Fatah al-Sham, and countless other Islamist movements mainly to prevent Syrian Kurds from controlling northern regions of Syria along the Turkish border. When it became clear that ISIS could not stop Kurdish forces after the war in Kobane, Turkey directly stepped in to prevent Kurds from expelling ISIS from the last 100 km-strip along the border with Turkey. Ankara repeatedly called the area a “red line” that Kurds could not cross. Thus, the Jarablus area is essentially under ISIS control and protected by Turkey. Erdogan has also been relying on ISIS to stem the perceived Kurdish threat within Turkey. ISIS has carried out multiple attacks against Kurdish targets over the last year. In the Suruç massacre on July 20, 2015, 32 Kurdish and Turkish students who were on their way to Kobane to help rebuild it were killed in a suicide bombing carried out by ISIS. About six weeks before that, on June 5, there was another ISIS bombing during a Kurdish electoral rally in Diyarbakir that killed four people. On October 10, 2015, an ISIS bombing killed over 100 civilians and injured more than 500 during a peace march in Ankara organized by the pro-Kurdish Peoples’ Democratic Party (HDP) and several unions. Erdogan’s regime is the ideological and strategic ally of Sunni Islamist movements throughout the region, and there are many of them. ISIS has attracted more attention because of the amount of land they control and their media output. I think ISIS will lose most of its territories perhaps within a couple of years, but the danger of Islamism is far from over. The so-called Islamist opposition in Syria differs very little from ISIS. Erdogan, Saudi Arabia, and Qatar have been openly supporting those Islamist forces, including Fatah al-Sham. In fact, the US has been involved in arming many of those groups too, including one that recently beheaded a 10-year old boy. RLR: Is there any meaningful way we can help those currently locked up in Turkey's prisons? SA: A meaningful way to help the victims of any despotic regime is first, not to support that regime, whether through selling weapons or visiting the country for tourism. I think the West has to free itself from the cycle of supporting Islamists to rid itself of undesirable dictators, like Qadafi and Al-Assad, and supporting military regimes to depose Islamists. It is a deadly cycle in the Middle East and Turkey is no exception. The long history of oppression in Turkey gave popular legitimacy to Erdogan, and he is steadily becoming an oppressive dictator. It is not that I think a third, democratic option does not exist, but wherever and whenever fascism is relatively popular, democratic forces are weak precisely because they are inherently against violence, which prevents them from stopping fascism. In Turkey, there is a progressive movement that is against both nationalist fascism and Islamist fascism. It is a democratic, secular, pluralist, multiethnic, and feminist movement led by the HDP. During the weeks leading to the July coup, Erdogan’s AK Party championed a bill that gives immunity against legal persecution to soldiers in order to enable the armed forces to kill more freely in the Kurdish region. The party also advanced another bill that would strip MPs of their immunity from persecution, mainly to target HDP MPs. HDP is the last hope in Turkey; if Erdogan’s regime manages to silence its leaders and activists whether through imprisonment or other oppressive means, Turkey will become a text book case of dictatorship. RLR: Kurds in Turkey have a long and tortured history. For a time there was a cease-fire with the PKK and negotiations with the government. Recently the HDP has been on the defensive, and hundreds of Kurdish civilians have been killed by government forces, pre-coup. Will Erdogan resume his war on Kurds? SA: Erdogan has not shown any intention to resume the peace process. He is now in an alliance with the ultra-nationalists, and to sustain that alliance he will keep the war against Kurds going. He resumed the war in the first place to appeal to the ultranationalists who are adamantly against any recognition of Kurdish rights. It is hard to imagine a time when Turkey will agree to resume the peace process with Kurds, but I think the marriage between Ankara and ISIS will fall apart sooner or later. When that happens, Ankara will most likely make a deal with Kurds. Historically, Kurds have been ready to accept any offer of peace, but they have never had enough power to impose peace on Turkey. It is quite ironic that, on the one hand, Kurds are alienated on a daily basis through both state violence and the lack of sufficient popular solidarity, while, on the other hand, they are blamed for not having a strong sense of belonging to Turkey. Even though the West now uses Kurds to stem the rise of ISIS, there is very little international media coverage of the brutal suppression of Kurds in Turkey. Also, because Erdogan is essentially blackmailing the EU with the refugee issue, threatening to open the gates of Europe to Syrian refugees, the EU does not dare criticize Turkey over human rights violations in Kurdistan. Within Turkey there is not enough pressure on the government to start a peace process either. It is quite ironic that, on the one hand, Kurds are alienated on a daily basis through both state violence and the lack of sufficient popular solidarity, while, on the other hand, they are blamed for not having a strong sense of belonging to Turkey. The only scenario in which Ankara would enter a peace process, therefore, is if and when Turkey itself is in a serious crisis. The Kurdish question is extremely complicated in Turkey. It is a question of 100 years of denial, humiliation, forced assimilation, and social engineering. While in Turkey, on a daily basis I witnessed the painful consequences of Turkish colonial politics. One day I was riding the minibus to the university when two young children along with their mother and grandmother got on the bus. The grandmother spoke in Kurdish with the mother, but the mother spoke in Turkish to her children. I assume the grandmother either did not know Turkish or felt it strange to speak to her daughter in a foreign language. I also assume the children did not know Kurdish, like so many Kurdish children who have been Turkified by the state. As the bus kept going, one of the children began singing a sad Kurdish song while looking out of the window. In an ordinary moment like that, one could see the suppression that crosses generations. RLR: How free - and how restricted - are women in today's Turkey? Kurdish women and Turkish women? SA: Kemalism helped Turkish women to gain many of their individual freedoms, but that is changing under Erdogan’s Islamist government. Erdogan has made it clear on multiple occasions that he does not believe women and men to be equal. He has consistently encouraged Turkish families to have more children and urged women to make raising children their chief priority. In an interesting shift, many Turkish feminists now take inspiration from the Kurdish feminist movement. Historically, the Kurdish region has been more conservative in terms of women’s rights, which has only been further exacerbated by the oppressive political and economic conditions imposed on the Kurdish region. However, women’s empowerment is one of the pillars of today’s Kurdish liberation movement. The imprisoned leader of the PKK, Ocalan, famously said, “Kill the man,” which is now the motto of a women’s academy in Rojava (Syrian Kurdistan). Of course, the statement is used metaphorically, but it marks a powerful shift in consciousness. Kurdish fighters in Turkey and Syria undergo radical feminist courses to un-learn the patriarchal value system. Also, that same movement has made the gender equitable system of co-chairing all positions of governance a universal rule in Kurdish politics in both Turkey and Syria. Municipalities, political parties, and military forces in the Kurdish regions of both Turkey and Syria must meet the requirement of ensuring that power is shared between male and female co-chairs. RLR: How is life for LGBT people in Turkey today? SA: LGBT people have also faced increased pressure from the Erdogan government in recent years. In fact, the police have sought to prevent the pride parades from taking place in Istanbul for the last two years. Of course, like women’s liberties, it is not easy for the government to altogether suppress LGBT rights, but those rights can be completely lost within the span of a few years, as we have seen elsewhere. At one time, the Iranian society was very liberal in terms of personal/sexual relations, although a brutal dictatorship was in place. Now Iranians are denied those past freedoms under the current despotic regime. Turkey seems to be headed down the same path: in addition to the lack of political freedoms, there will be less and less “personal” freedoms as well. Islam, in all its versions, does not tolerate individual freedoms, so with the rise of Islamism, LGBT people will of course be among those who will suffer the most.